Last week there were vague rumors of a MERS-CoV case in Oman - rumors which were confirmed (albeit, without details) in yesterday's blog (see WHO EMRO MERS-CoV Report - Feb 2018) - which cited `one case reported in Oman'. Late yesterday the WHO published a DON (Disease Outbreak News) report on the Omani case. This is their first case for 2018 - in 2017 Oman reported just two cases (see Nov report & Sept Report). As in Saudi Arabia - and the rest of the Middle East - mild or asymptomatic cases are unlikely to be picked up by surveillance, and some of the more severe cases may go undiagnosed, making it difficult to know just how prevalent the virus really is in the region (see EID Journal: Estimation of Severe MERS Cases in the Middle East, 2012–2016). On 4 March 2018, the National IRH focal point of Oman reported one additional case of Middle East respiratory syndrome coronavirus (MERS-CoV). The patient was a 74-year-old male Omani national, living in Batinah, who had symptom onset on 23 February 2018. The patient had neither recently travelled nor had any contact with any person with respiratory symptoms or with a known MERS-CoV case. The patient took care of camels that were reportedly ill. The investigation of the patient’s exposure in the 14 days prior to the onset of symptoms is still ongoing. Prior to this patient, the last laboratory-confirmed case of MERS-CoV from Oman was reported in November 2017. Globally, 2144 laboratory-confirmed cases of MERS-CoV, including at least 750 related deaths, have been reported to WHO. Detailed information concerning the patient reported can be found in a separate document (see link below). Identification, tracing and follow up of family and health care workers contacts is ongoing, including MERS-CoV screening. All identified contacts will be monitored for 14 days from the last possible date of exposure. Infection with MERS-CoV can cause severe disease and subsequently, results in a high mortality rate. Humans are infected with MERS-CoV from direct or indirect contact with dromedary camels. 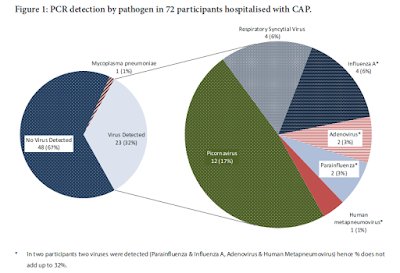 MERS-CoV has demonstrated the ability to transmit between humans. So far, the observed unsustained human-to-human transmission has occurred mainly in health care settings. The notification of additional cases does not change the overall risk assessment. WHO expects that additional cases of MERS-CoV infection will be reported from the Middle East, and that cases will continue to be exported to other countries by individuals who might acquire the infection after exposure to animals or animal products (for example, following contact with dromedaries) or human sources (for example, in a health care setting). WHO continues to monitor the epidemiological situation and conducts risk assessment based on the latest available information.